Automated Webinars, with Stealth Seminar - Webinar Starter Blueprint ""
Steve Dotto of Dotto Tech talks about automating your webinars with Stealth Seminar. 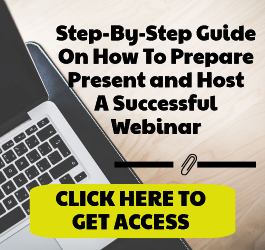 This is a bit of an advanced tactic but definitely something your going to want to do after you’ve perfected your webinar delivery. Cool, yes? Well, I thought so, anyway! Okay, before we get started, I’ve got a confession I have to make. Admittedly, my own selfish needs are really what prompted me to create this site. I deeply enjoy how-to webinar videos (like the ‘Automated Webinars with Stealth Seminars’ video you just finished watching), and I honestly just wanted a place where I could re-watch all of my favorites under one roof. Hopefully you won’t hold it against me if I’m able to generate a little side income from sponsorship’s and/or product recommendations. So come on back! I’ll be ceaselessly sharing top-notch videos with you. These will cover topics which include Getting Started, Tips & Tricks, and Promoting Your Webinar… and so forth! As a final request, reading the thoughts and opinions of my visitors really drives me to continue on this quest. You’ll find the comments section below. Please use it, okay? Subscribe To Get Updates And A Free Gift!